The federal Fisheries and Oceans Canada wants to create a commercial green crab fishery on Prince Edward Island. The Department of Fisheries and Oceans hopes trading in eel licences for green crab licences will both reduce invasive crab populations and ease the pressure on threatened eels. Fisheries and Oceans Canada wants to create a commercial green crab fishery on Prince Edward Island. Green crabs are an invasive species. They are more aggressive than native red crabs, and are pushing that species out in some areas. In order to get one of the 22 green crab licences, fishermen need to trade in an eel licence. Eels are a threatened species. "Real potential for a green crab fishery in the east end of the Island," said Beach Point fisherman Wendell MacKenzie. "We don't have many eels in that area, but the green crabs are quite a nuisance in our silver-side and smelt fishery. If we thought we could eradicate the nuisance and maybe even make money doing it besides, I think there's potential in the east end of the province, at least." MacKenzie bought a commercial eel fishing licence to trade it for a green crab one. Fishermen in other parts of the province are skeptical about the idea. "The guys that are in the eel fishery today are not likely to give up their eel licence to go into a green crab fishery where there's relatively a very small market," said fisherman Marvin Jollimore. "There's very little on established price or markets for the green crab." Jollimore said green crab populations in the central and western parts of the Island are too low to make a profitable industry. 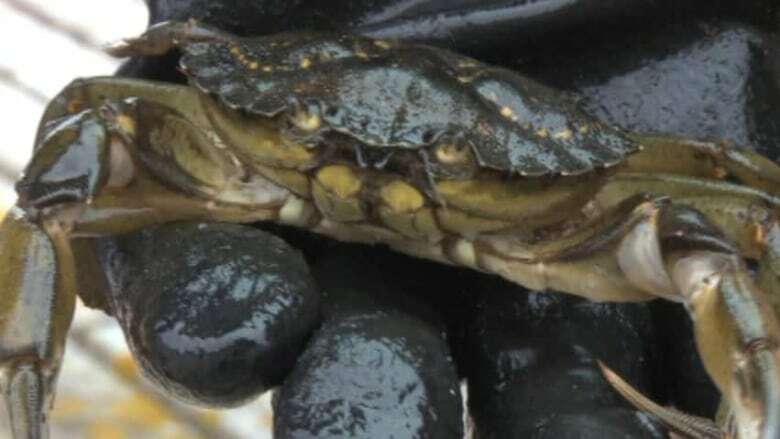 DFO hopes the new licences will cut down on the green crab population, while preserving the threatened eel population.